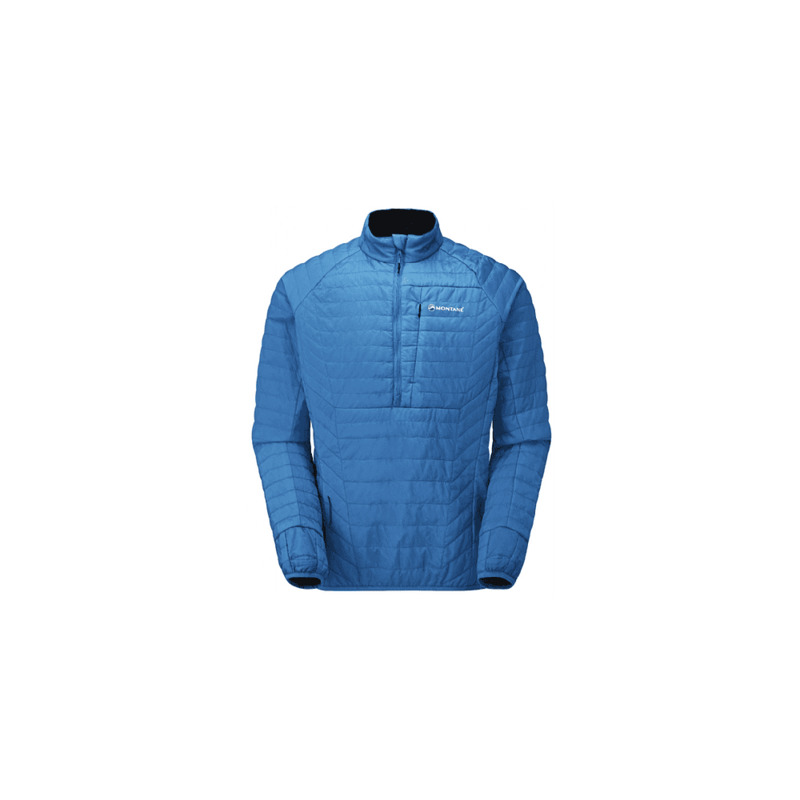 Montane Fireball Verso Pull-On takes ultra lightweight PrimaLoft® insulation up a notch. Designed and constructed for versatility whilst participating in ultra events or fast mountain forays, the reversible Fireball Verso will provide significant fixes whilst on the move. Hyper light PERTEX® Quantum Rip-stop and air permeable HYPERVENT encase PrimaLoft® SILVER Insulation Active for reversible windproofness and breathability. The Pull-On has low p[eofile cuffs with thumb loops and an extra pocket concealed in the chest for handy essentials when in the outdoors. The stretch bound hem wraps around your waist to prevent weather entry and warmth retention. This is a great Pull-On for all weather conditions.